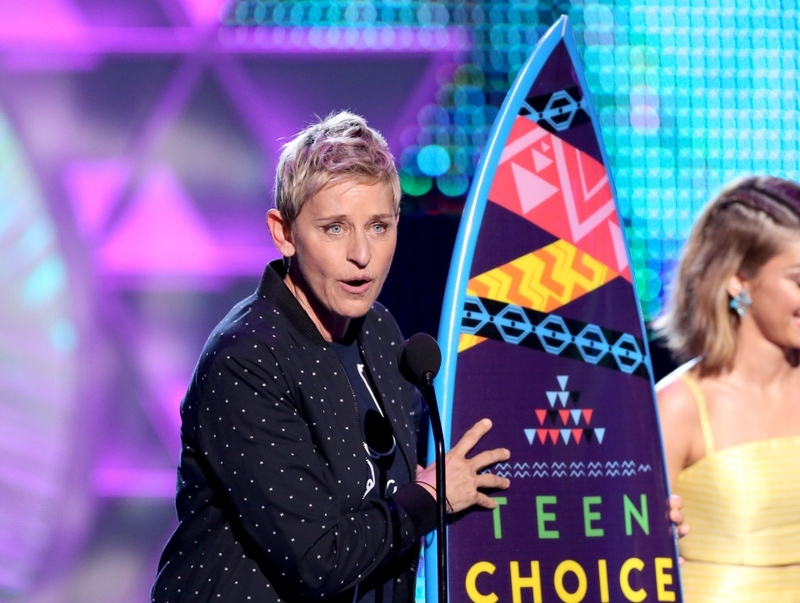 On Sunday night, Ellen DeGeneres won the Choice Comedian Award at the 2015 Teen Choice Awards. She was there with her wife, actress Portia de Rossi, and the couple had another reason to celebrate – their seven-year wedding anniversary. Sarah Hyland, the ‘Modern Family’ star was on hand to present the famous TV host and comedian with her Choice Comedian ceremonial surfboard, which she dedicated to de Rossi. 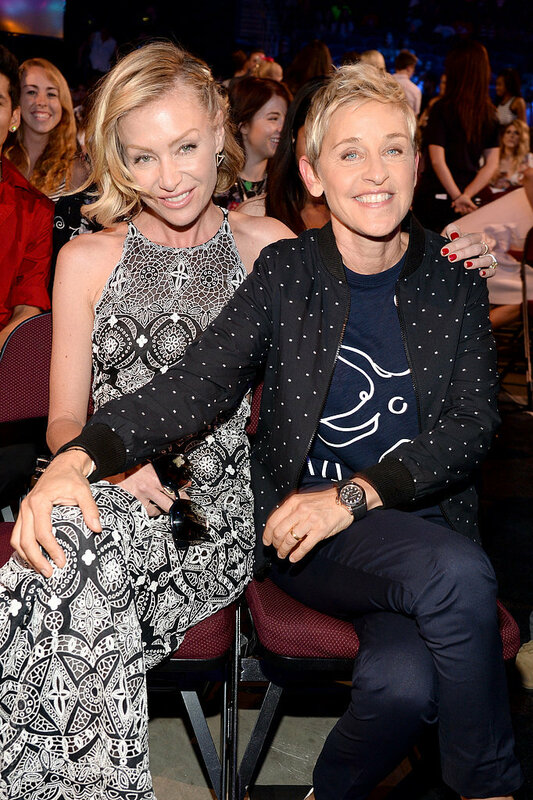 As expected, Ellen delivered an amazing speech, and took the time to pass on words of wisdom to teenagers. She said: “Wow, thank you so much. I’m honored to be in that category, there were some hilarious people and so thank you very much and what a coincidence, and it’s convenient, I was on my way to the beach, I had forgotten my surfboard so this will come in handy. I’ll put it on top of my car. I wanna say right now that I am pro-Teen Choice just wanna get that out there. And you know they say teens make bad decisions but you made a very good decision tonight by choosing me that was smart, smart, smart. All of you. I wanna say also it feels good to be chosen but there was a time in my life that I was not chosen. I was the opposite of chosen because I was different, and I think I wanna make sure that everyone knows that what makes you different right now, makes you stand out later in life. So you should be proud of being different, proud of who you are. I won a People’s Choice Award, I would think that teens would be in that category. I don’t know why teens are not in the “people” category but if they’re breaking it down, I’d like an award from the elderly and babies – if that’s going to happen – to cover everybody. The most important thing I wanna say is just really embrace who you are because being unique is very, very important and fitting in is not all that matters. It’s being unique and being who you are. :standing ovation: We love you, Ellen!